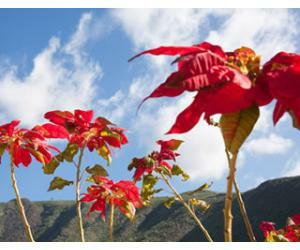 The Canary Islands are ideal for holidays in the sun all year round, even during the winter months. 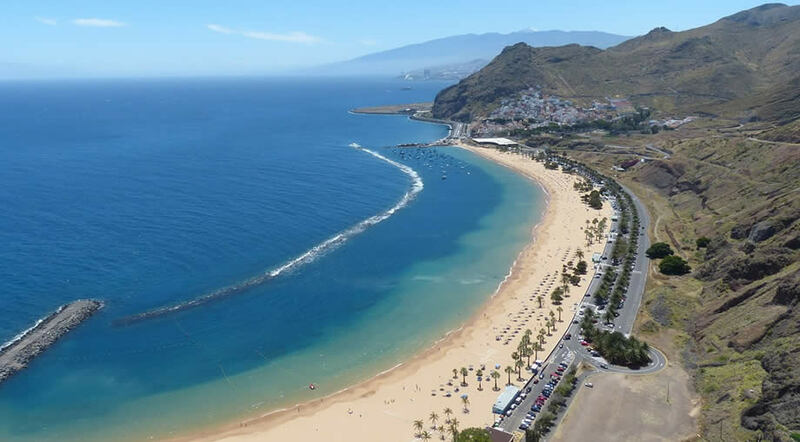 We've prepared a list of the best beaches in the Canary Islands, including places from Lanzarote, Fuerteventura, Tenerife and Gran Canaria. 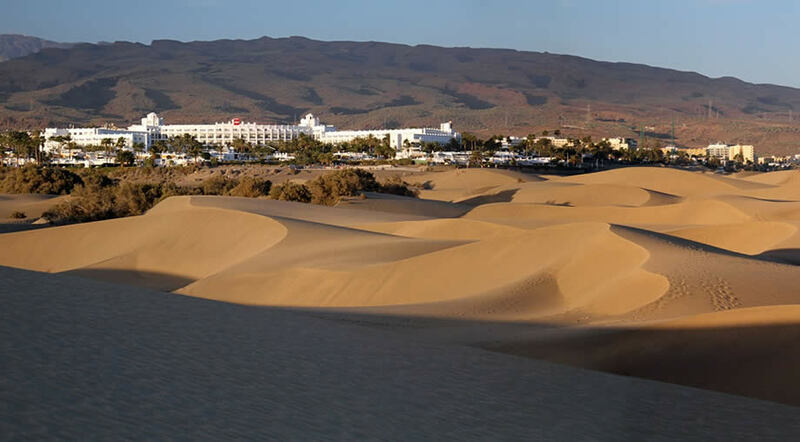 The islands that are situated in the east part of the archipelago, like Fuerteventura and Lanzarote, have more natural white sand beaches, surrounded by turquoise waters, while the others have a greater mix of black sand beaches and golden sand ones. These islands also have less vegetation and the landscape is often arid and barren but the beaches are amazing, some of the best you can find in Europe. 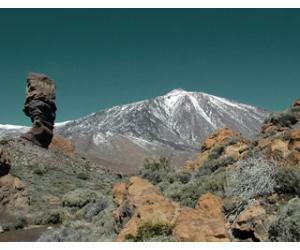 No two Canary Islands are the same and the diversity is what makes them one of the best beach destinations in Spain. 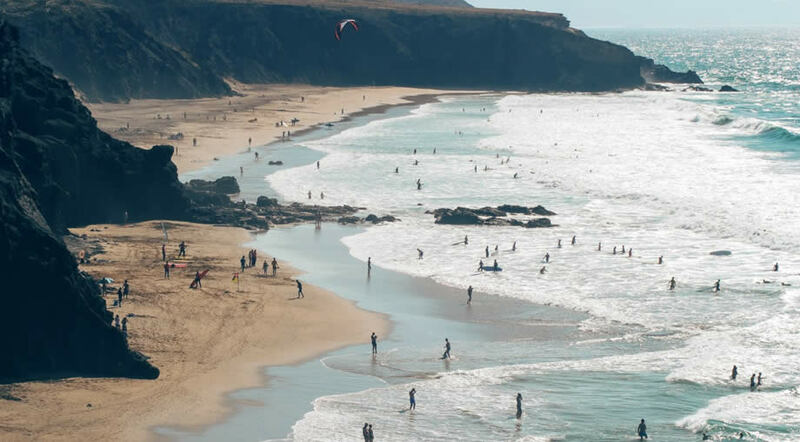 Also, some of the best beaches in Spain are located in the Canaries, so if you're trying to decide on your next destination for a sunny holiday, go through our list below and see which ones catch your eyes. Be warned...it will not be an easy decision to make, as they all have something special. 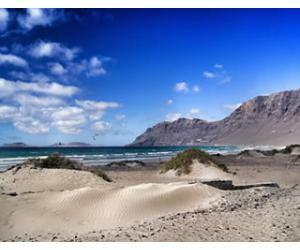 Situated in the North of Fuerteventura, Corralejo Grandes Playas is part of Corralejo Natural Park. Here you will find a series of several beaches that stretch for more than 7 km. They are ideal for long walks, water sports and you will have the most amazing view of the island of Los Lobos. 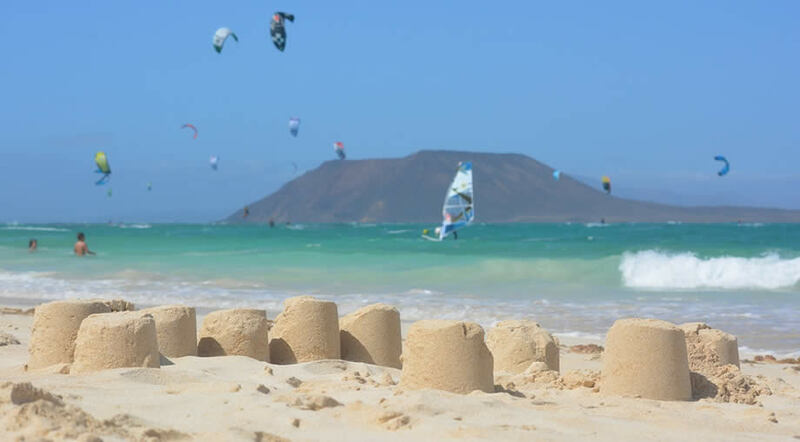 This is also a favourite spot for naturists in Fuerteventura and Flag Beach is always a great for kite surfing; driving through the Corralejo dunes is also one of the most incredible things to do in Fuerteventura, so don't miss this place if you're ever on holiday on the island. The Teresitas Beach is situated in the north of Tenerife and it's probably the nicest beach with golden sand on the island. The sand was actually brought over from Africa, so this is not her natural look, but despite of that it remains the most popular beach in the area of Santa Cruz and probably the prettiest beach in Tenerife. It's ideal for swimming and just lounging in the sun, admiring the view. When people talk about Papagayo Beach they actually refer to a collection of beaches, which are situated inside a natural park. 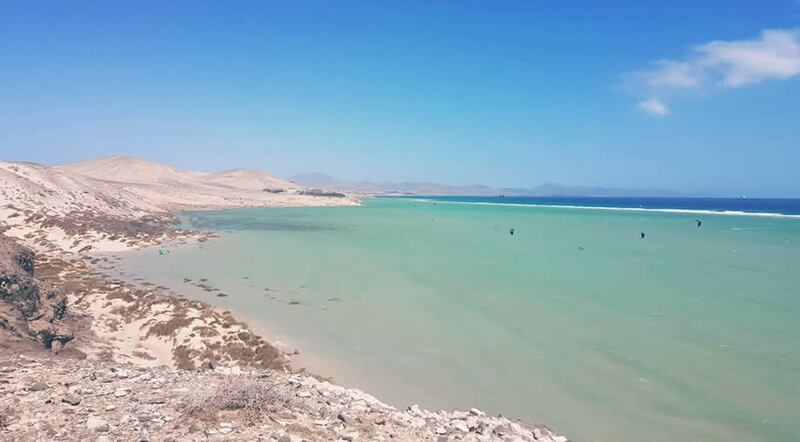 If you enter the park by car there is a 3 Euros fee per vehicle, but you can also get here by boat from Playa Blanca on a half day cruise. Waling or using a bike are also good options, but you should be careful with the heat and the sun exposure, as there aren't any places to hide in the shade. By entering the park you have access to several white sand beaches, all beautiful, with breathtaking views and great for swimming. The lagoons at El Cotillo were included in the Top 10 Most beautiful beaches in Europe 2015 by Tripadvisor. This is a lovely and quiet place, a series of small coves with white sand and turquoise water, ideal for swimming. This beach is quiet and great for families with small kids, if you visit during the low tide. During the September big tides the lagoons are a wonderful place to visit, and also don't miss the nearby La Conchea beach. It's advisable to bring some food and drinks, since there are no shops and restaurants in the proximity. 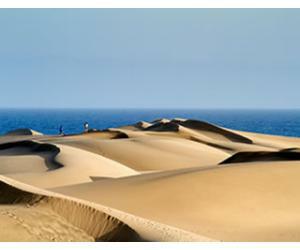 Just like Corralejo Grandes Playas, Maspalomas Beach is formed by dunes of sand. This is a very special and unique landscape: desert and beach, all in the same place. 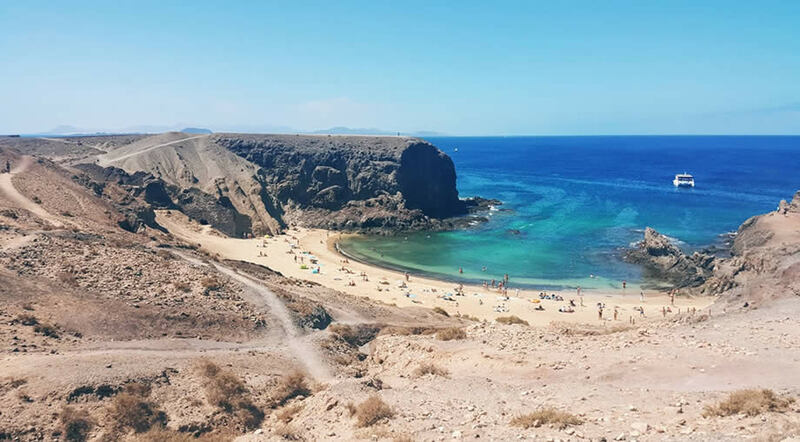 Situated right in the south of Gran Canaria, this beach is provides one of the most iconic views on the island and here you will always find a private spot, which is why the place is popular among nudists. 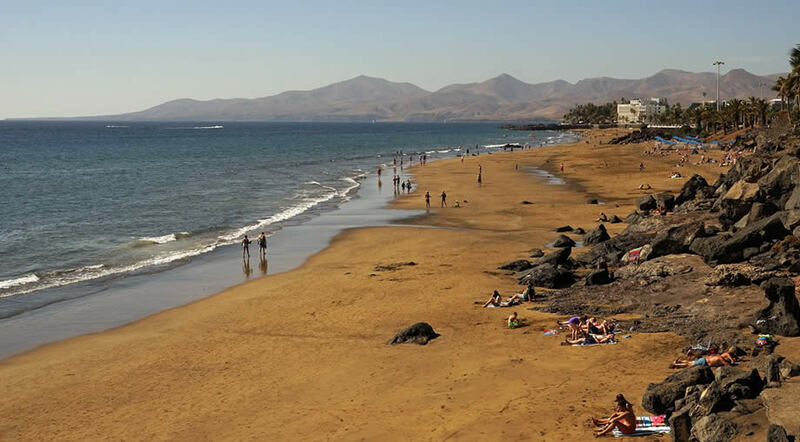 Playa Grande is our favourite beach in Puerto del Carmen - just look at the view you get! You will enjoy the clear and calm water (no big waves here), ideal for swimming. Also, the sunsets here are amazing, with views towards the hills in the south of the island. Bars, shops and restaurants, all are nearby and within reach in just a few minutes. 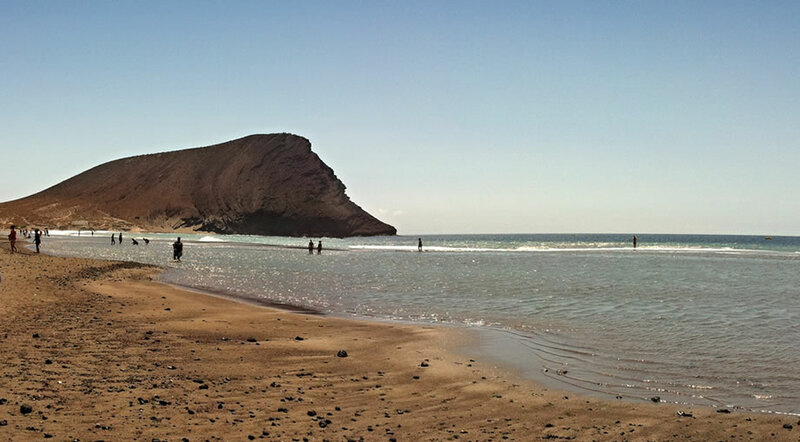 Cofete was included in the Top 10 Best Beaches in Europe by Tripadvisor, along with El Cotillo. So I don't think that I'm exaggerating when I dare to say that this beach provides the most dramatic view in Fuerteventura. 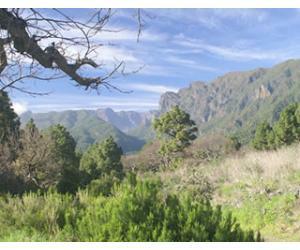 Wild, remote, undeveloped, with a scenery like out of this world - this is Cofete. 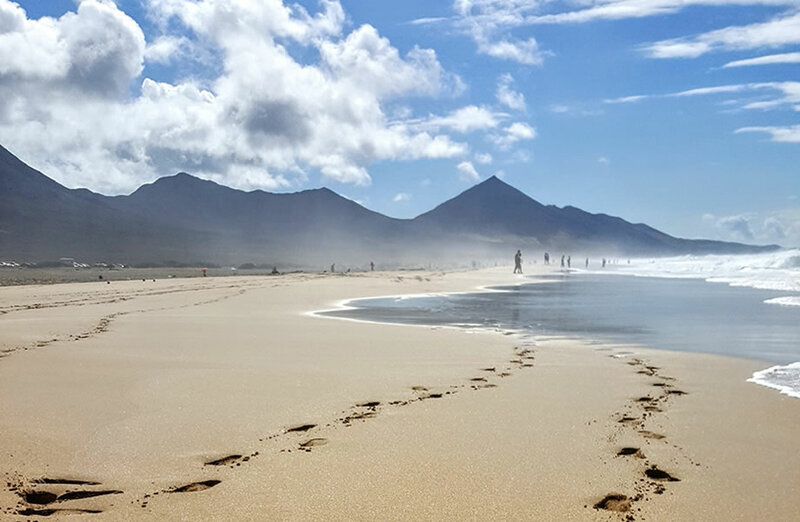 For us, Cofete is the best beach in the Canary Islands, but this is a personal preference and despite the difficulties to get there, we always visit this place when we are in Fuerteventura. The road that leads to Cofete is a dirt road, so a 4x4 vehicle would be best. Small cars can get there too, but you need to have patience and drive carefully. 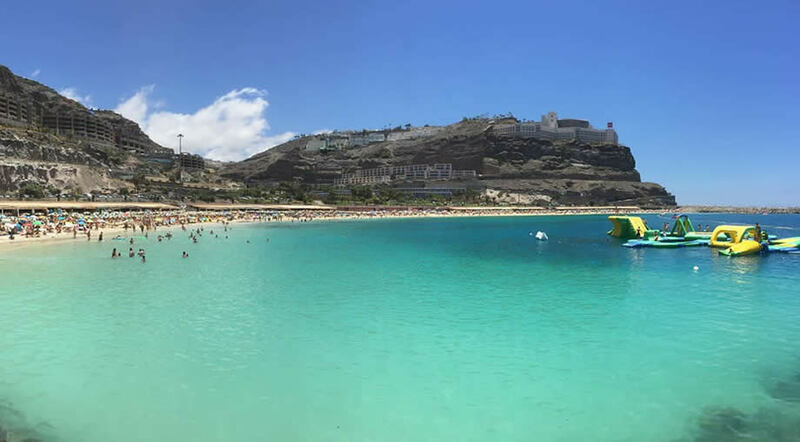 This is one of the busiest and most popular beaches in Gran Canaria, and lots of holiday makers choose this place for a family holiday because the water is clear, without big waves, so it's safe for swimming. This is why Amadores beach is a recommended place for families with kids. There are two big hotels right on the beach, with great access. You will find here umbrellas, sun beds and activities for the kids. 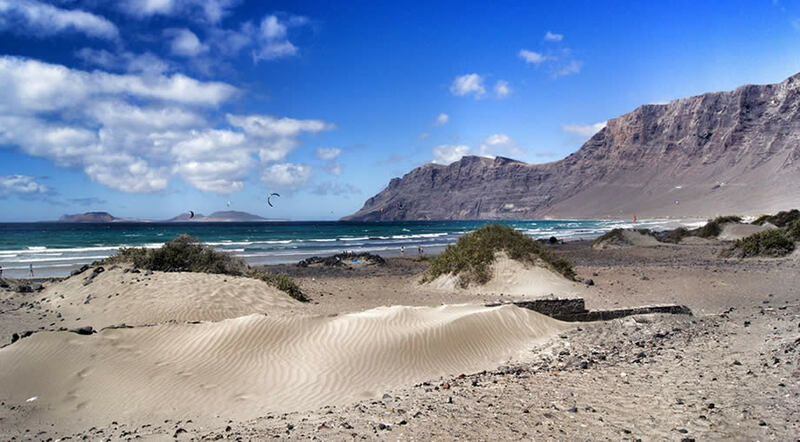 Famara is the ideal place for surfing in Lanzarote. It has a majestic appearance, guarded by the big cliffs on one side. 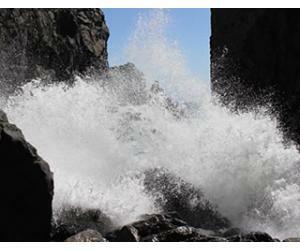 The beach is really big, with constant winds and waves, and it is situated on the west coast. Many surfing schools bring their students to Famara beach for lessons. In the village you can find cheap accommodation and a few restaurants, so this is a good place to stay in Lanzarote if you are interested in learning to surf. 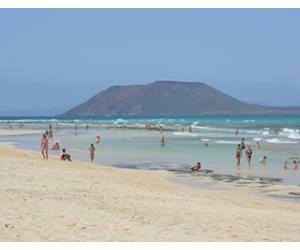 You will see pictures of Sotavento Beach (especially Playa La Barca) on most of the postcards from Fuerteventura. The World Championship of Windsurfing is held here every year in July. Come at high tide if you want to see the massive lagoon filled with water. La Tejita Beach offers views towards Montana Roja (Red Mountain) and it's really impressive. This is a natural beach, with fine sand and it was declared a Blue Flag beach. 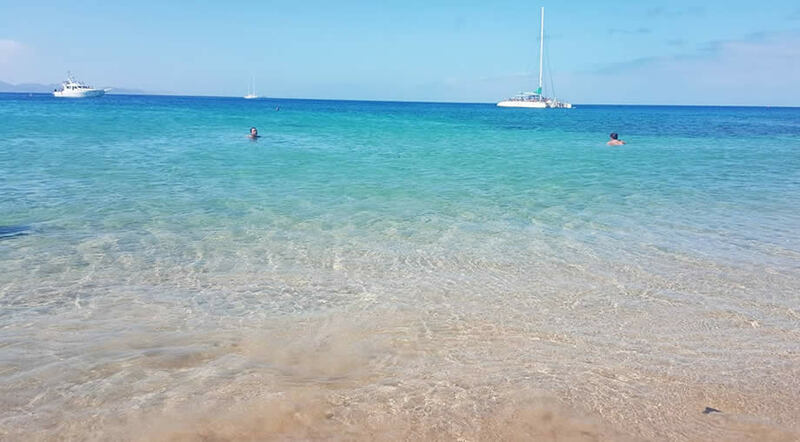 It is situated near the airport and if you are staying in El Medano you definitely need to visit this beach. This is part of the Papagayo beaches, so it's also situated in the same natural park area of Los Ajaches. Playa Mujeres is the largest and most open of all the beaches in the park. It is also the first beach in the series, so it's the easiest to get to. Situated on the west side of the island, Playa La Pared is ideal for surfing. It is connected to Playa del Viejo Rey and the access to the beach is done by a set of stairs. 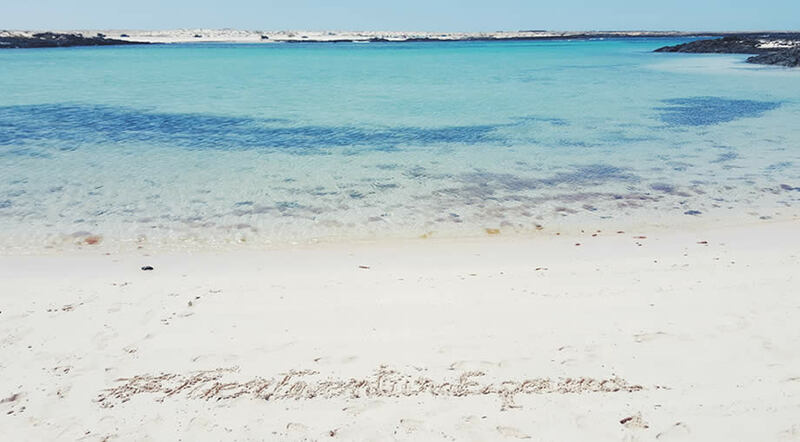 Although it's not a place for safe for swimming, the landscape is breathtaking and it's a must see in Fuerteventura.